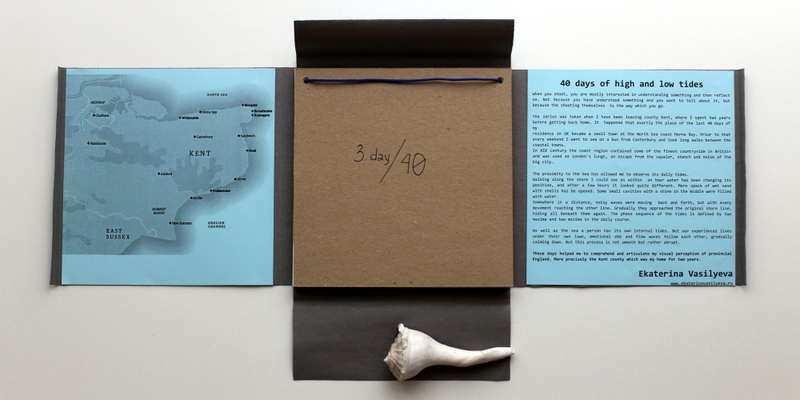 NewsThe first book (handmade) “40 days of high and low tides” by Ekaterina Vasilyeva is now available. 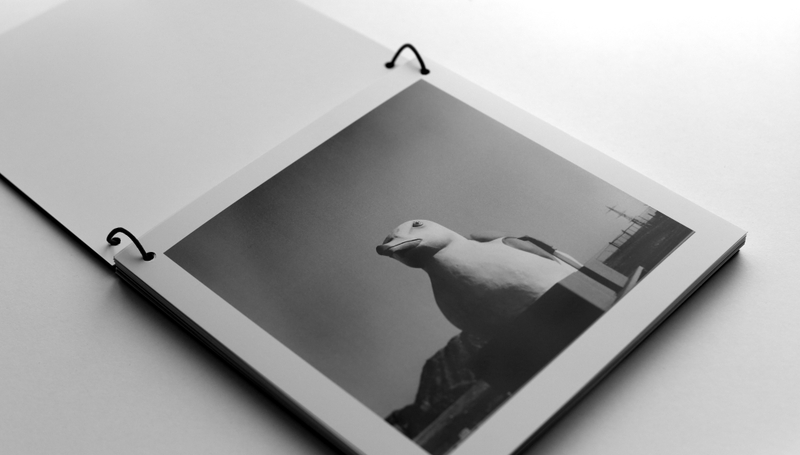 This book could be put on your table or hung on a wall displaying anyone of 40 images. The series was taken when I have been leaving Kent, where I spent two years before getting back home. 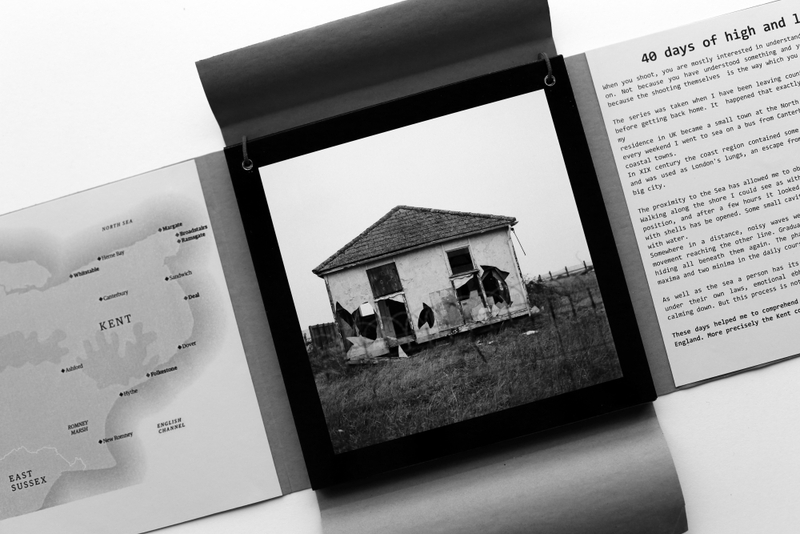 This book could be put on your table or hung on a wall displaying anyone of 40 images. The series was taken when I have been leaving Kent, where I spent two years before getting back home. It happened that exactly the place of the last 40 days of my residence in UK became a small town at the North Sea coast Herne Bay. Prior to that every weekend I went to sea on a bus from Canterbury and took long walks between the coastal towns.In XIX century the coast region contained some of the finest countryside in Britain and was used as London’s lungs, an escape from the squalor, stench and noise of the big city. The proximity to the Sea has allowed me to observe its daily tides. Walking along the shore I could see as within an hour water has been changing its position, and after a few hours it looked quite different. More space of wet sand with shells has be opened. Some small cavities with a stone in the middle were filled with water. Somewhere in a distance, noisy waves were moving back and forth, but with every movement reaching the other line. Gradually they approached the original shore line, hiding all beneath them again. The phase sequence of the tides is defined by two maxima and two minima in the daily course. As well as the sea a person has its own internal tides. But our experiences lives under their own laws, emotional ebb and flow waves follow each other, gradually calming down. But this process is not smooth but rather abrupt. These days helped me to comprehend and articulate my visual perception of provincial England. More precisely the Kent county which was my home for two years. 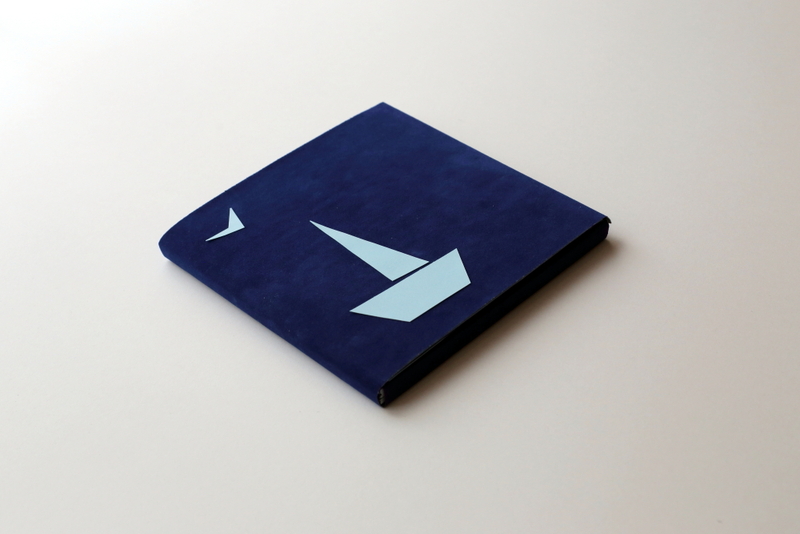 Selfpublished, handmade book in Poly Velours handmade dust jacket (180 g/m² paper), handmade binding and handmade cover.